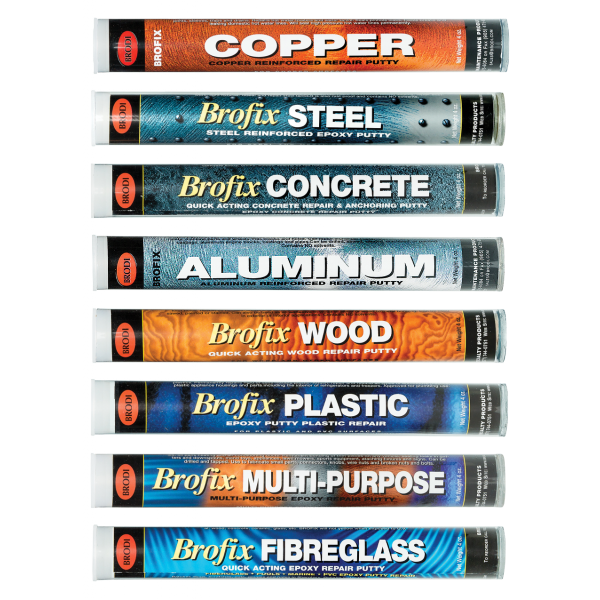 A fast-setting polymer compound that enables permanent repairs to all types of materials such as metal, wood, glass, masonry and plastics. 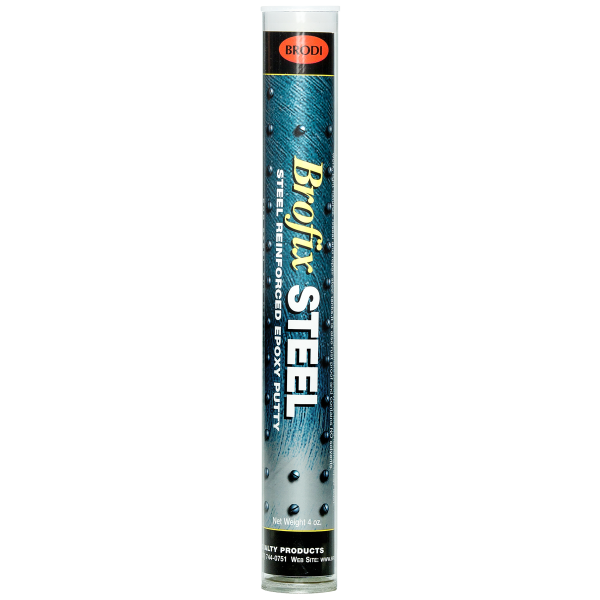 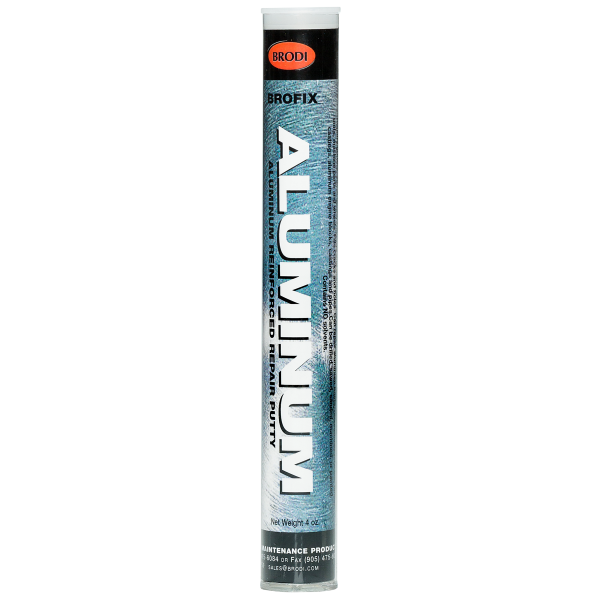 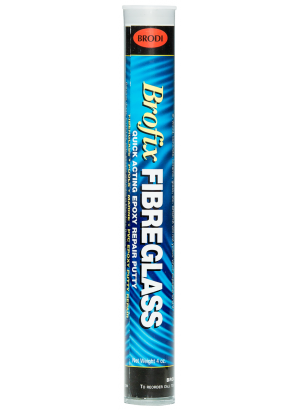 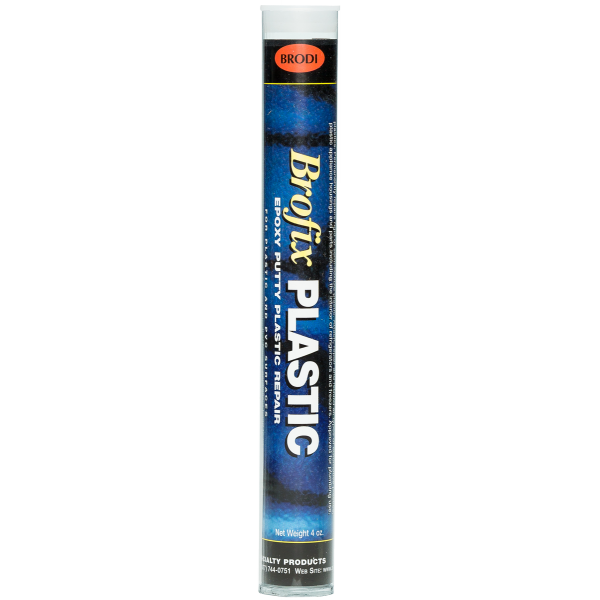 Brofix Epoxy Putty Repair Stick. 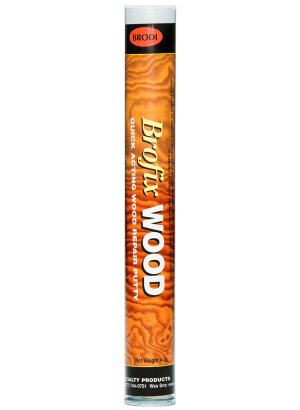 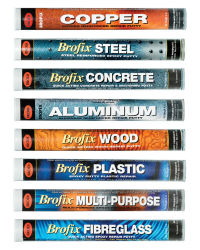 Brofix comes in 8 different material types. 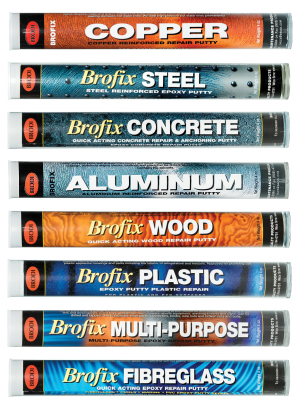 Each one is specially designed to bond and best imitate the properties of the material being repaired. 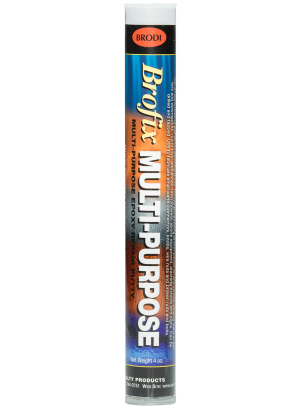 The Multi-Purpose version is for any other material and works surprising well on just about anything. 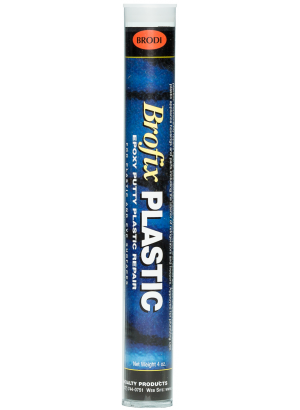 Each handy stick contains pre-measured portions of activator and base throughout no measuring or mixing tools are necessary. 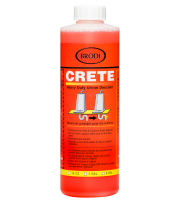 As the epoxy is mixed, the two contrasting colours blend into one colour to indicate complete mixing. Great for prototyping and fabricating small parts. 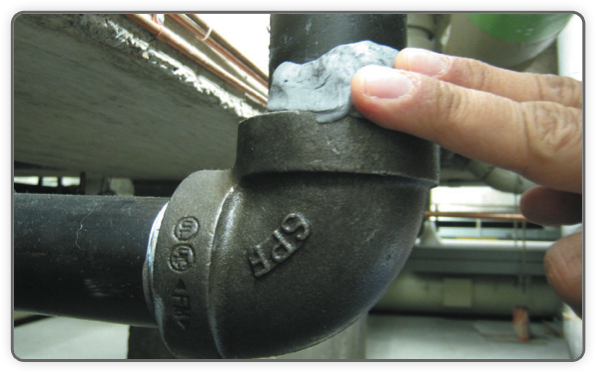 Lap Shear Strength range from 350 to 900m p.s.i. 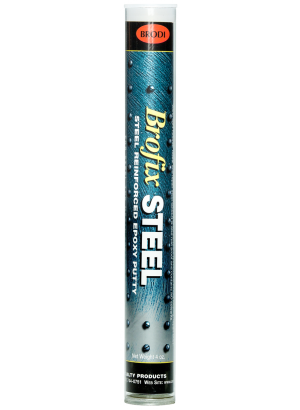 Compressive Strength range from 10,000 to 12,000 p.s.i.